The original trio had Delicate beginnings (well, I said thematic puns!). After that group dissolved, two of its singers, Brenda Joyce and Billie Rae Calvin, enhanced the harmonies of Motown artists like the Four Tops (Still Waters Run Deep), Diana Ross, and Edwin Starr. Producer Norman Whitfield gave the ladies their own vocal vehicle when they joined Joe Harris, a Preps singer and '60s Ohio Players member, in 1970. They called themselves the Undisputed Truth. Their first album? The Undisputed Truth, naturally! Their first hit? "Smiling Faces Sometimes." Their biggest hit for the next decade of their existence? Um, "Smiling Faces Sometimes." 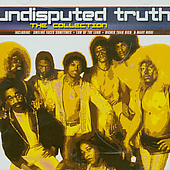 That Top 5er was less a Motown song, or even an Undisputed Truth song, than a Norman Whitfield song, with its seething energy and implicit social critique. In fact, the producer "led" the group more than Joe Harris did. Whereas other Whitfield collaborators like the Temptations got ample attention, many--including Whitfield himself--treated this trio like a testing ground for his psychedelically soulful escapades. This is an Undisputed Truth biography, so I'll return to the singers. They did chart with songs like "You Make Your Own Heaven and Hell Right Here on Earth." But since their discography includes the original "Papa Was a Rollin' Stone," "Ball of Confusion," and "Friendship Train," there's no denying the Truth's status as forgotten forerunners and a default cover band. In 1976, Whitfield whisked them away to his self-named label. Another mid-decade change affected the personnel: An updated Truth included Virginia McDonald, Tyrone Berkeley, Calvin Stephenson, Tyrone Douglas, Carl Smalls, Chaka Khan's sister Taka Boom, and the same Joe Harris. Singing spacey funk, "black rock," and disco at various times, the Undisputed Truth charged through that decade with unique stage garb (huge bleached Afros and striking makeup) and dodged the pigeonholes set by the public. In the process, "You + Me = Love" became a small R&B hit and the group's album list grew. But as Norman Whitfield paid it less heed, it slipped. 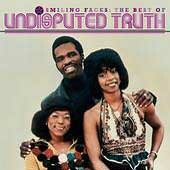 By the '80s, the producer's label had crumbled and the Undisputed Truth had fallen into the dustbin of disbanded Motown groups. The members didn't stay there permanently. Taka Boom found new life as a soloist. Later, Joe Harris and Brenda Joyce Evans revived the group with Belita Woods at Motorcity in 1991. They weren't your typical soul singers, and they weren't as successful as such artists elsewhere. But they helped take the Motown Sound and attitude into the future. The Undisputed Truth deserve a sincere pat on the back for that. Does this Undisputed Truth biography stoke your interest in other Motown oldies singers? Then click here for the homepage!